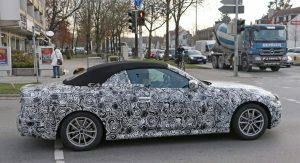 Here’s a new set of photos of the upcoming BMW 4 Series Convertible, (and consequently, the other models of the series like the Coupe), this time including a first look at the interior. 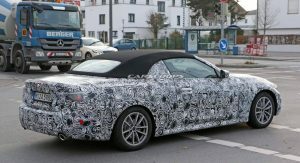 The previous sighting allowed us to see that the new 4 Series cabriolet will ditch the foldable hardtop roof for a classic soft top. 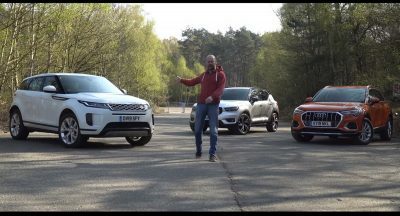 Many advantages derive from that, including better looks, more luggage space, as well as improved driving characteristics — given that the car will be lighter. 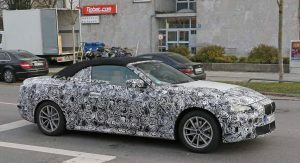 Finally, the 2020 4 Series Convertible should also be less expensive than the current model, at least in an ideal world. So what about the interior, then? 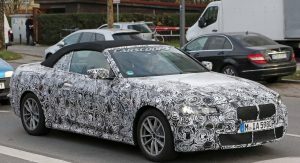 As with the current model, its successor will source the cabin from the BMW 3 Series. Although it still wears camouflage, it’s clear that the dashboard looks very similar to the latest G20 3 Series. The only visible change is the button for the electrically operated roof that’s placed next to the parking brake button. Two big screens dominate the dashboard, and the steering wheel and switchgear are also taken straight from the 3 Series. 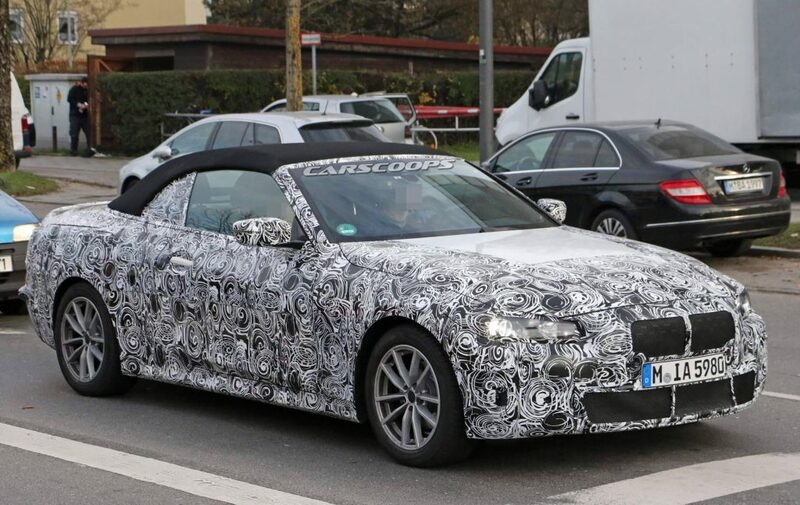 On the outside, the 4 Series Convertible still wears a lot of camouflage so we can’t talk that much about the exterior design. 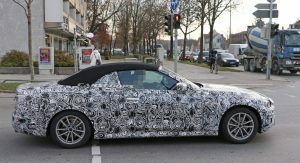 However, the front grille seems to resemble that of the new Z4. 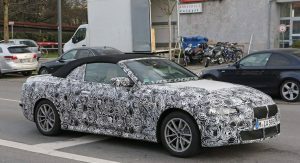 If you zoom in enough, you can spot the same pattern on the grille as on the roadster. 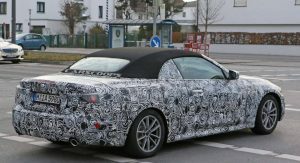 As for the headlights and taillights, their shapes are anyone’s guess given the thick camouflage that covers them. Expect the all-new 4 Series Convertible (G22) and Coupe (G23) to mirror the engine lineup of the 3 Series. 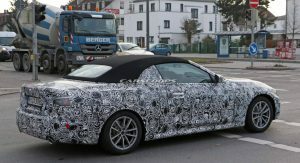 Four-cylinder and six-cylinder engines are in the cards, as is a plug-in hybrid version. 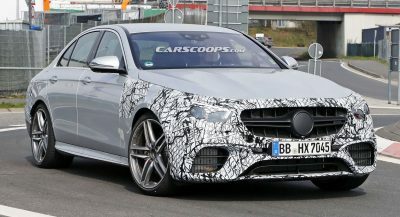 Both models are expected to debut in 2020. Wow. Breaking news. The interior of a BMW 4-Series looks similar or identical to that of a BMW 3-Series. Good job I was sitting down when I read that. Right when has it not used the same interior as the 3-Series. why does it look like a 90’s mustang? 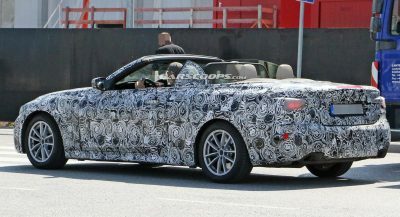 I have a feeling this 4-Series is going to be ugly. I don’t know why. Lol. I like the current 4-Series though. 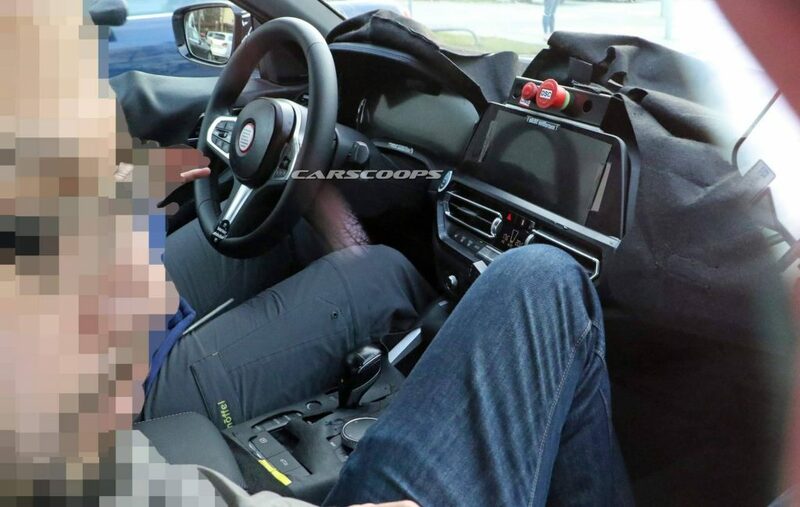 So here we have a picture of the part-camouflaged new 4 series dashboard when we have already seen the identical dashboard of the new 3 series. Wow, what a scoop!!!! !